Very often it's not just about the marriage between adhesive and substrates; in some cases the pattern of the adhesive can have a big impact on the solution! Drug delivery pads or transdermal medication and wound dressings are rapidly gaining territory. Transdermal medication means that the drug is transported through the skin’s pores via a pad. This sticky pad contains the chosen drug and is applied to the skin. Although other adhesive systems are capable of transmitting moisture that vaporizes from the skin we noticed that the capacity to transport moisture is limited. For example, when people are exercising there is a need for more moisture transport. 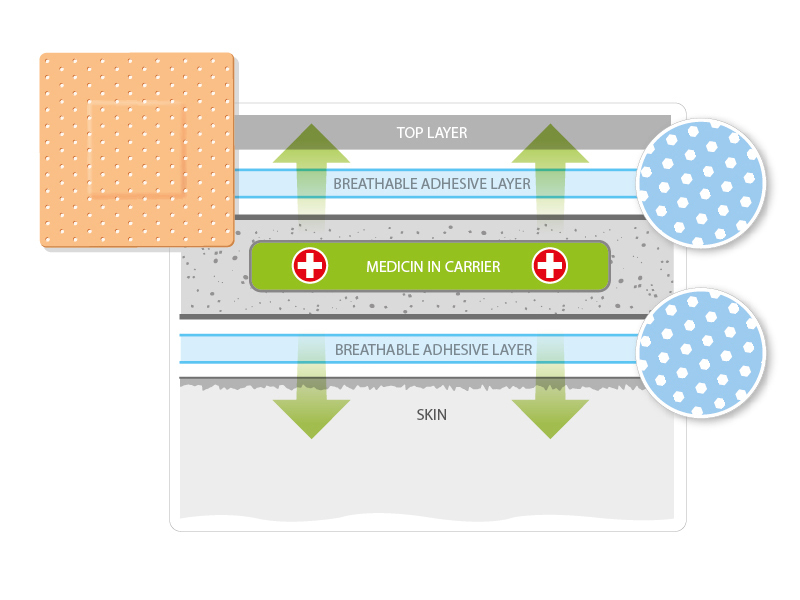 Our patented honeycomb adhesive structure allows larger amounts of moisture from the skin to pass through. Secondly, in the case of an open wound, infectious species can easily find their way into the wound. That is why we have designed the honeycomb adhesive pattern. It allows the moisture to move from the skin into the pad but will also create a barrier between the skin and the pad. The perfect solution in this case! 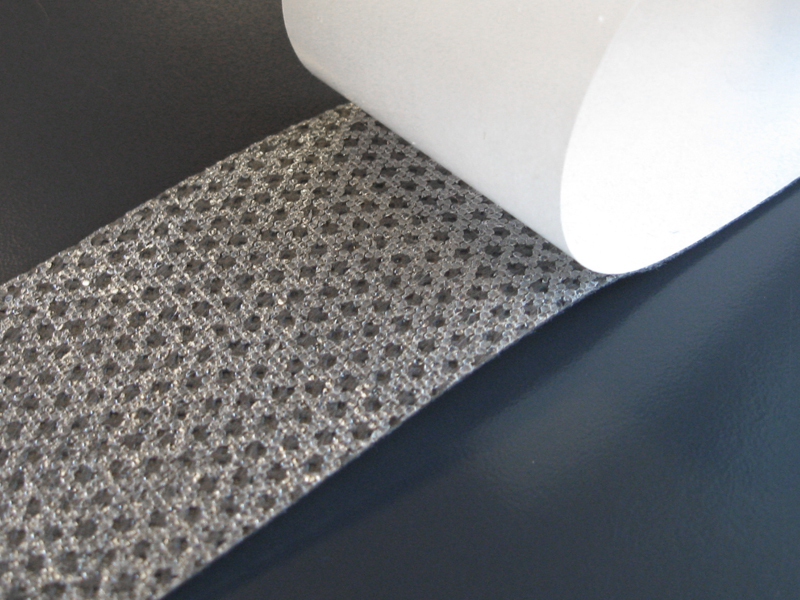 At Multifoil we create custom adhesive patterns for all sorts of applications. 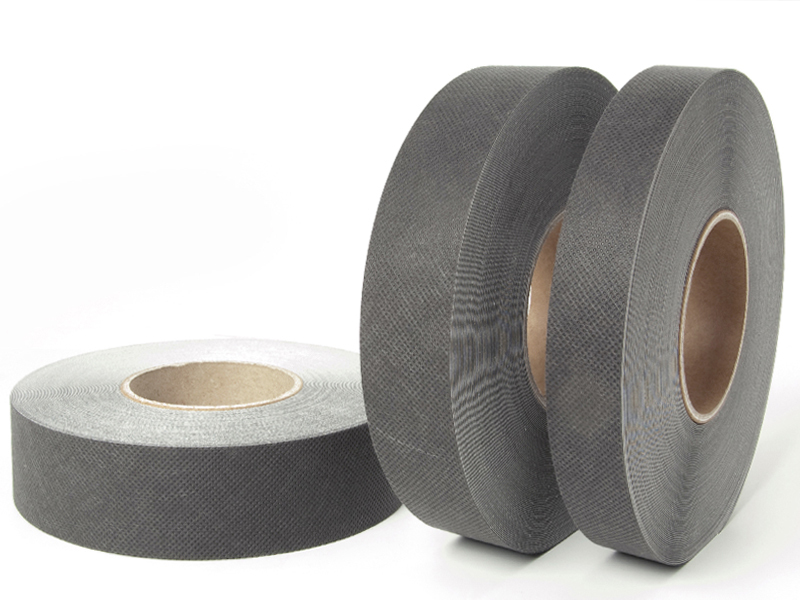 There are many ways to bond materials. Screwing, welding and clasping were the traditional methods used in the ‘fixing’ universe. 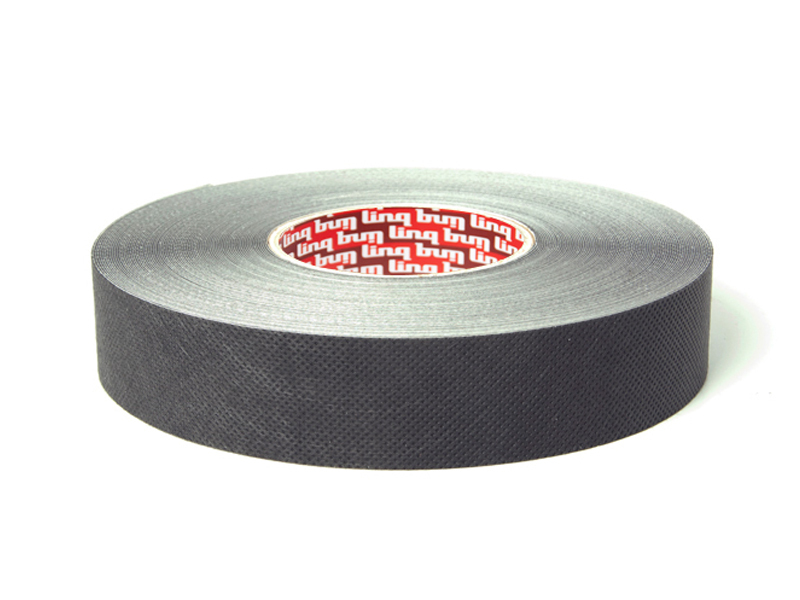 However, there are many ways in which tapes can be much more effective!